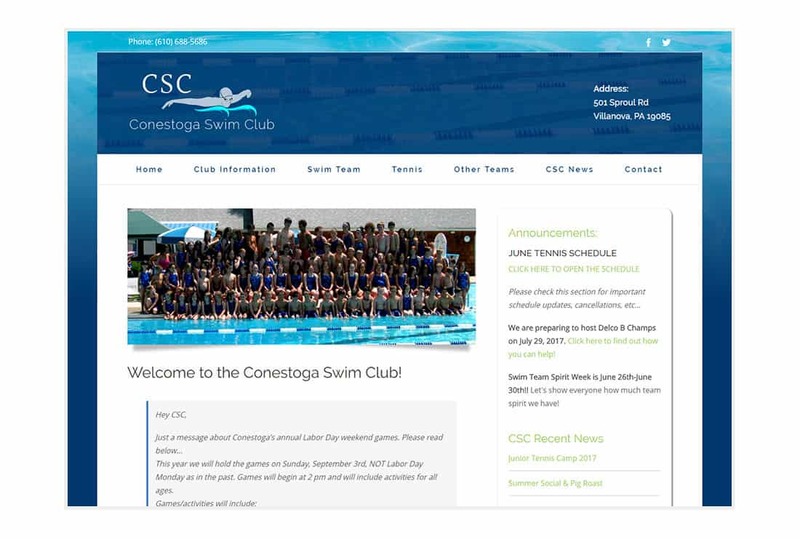 Conestoga Swim Club is a non-profit corporation that opened in 1955. The club provides for its members, their immediate families and guests, swimming, recreational and social facilities and in furthering these purposes to own, maintain, lease and operate a swimming pool, club house, and other necessary property with high standards of moral, legal and educational nature. 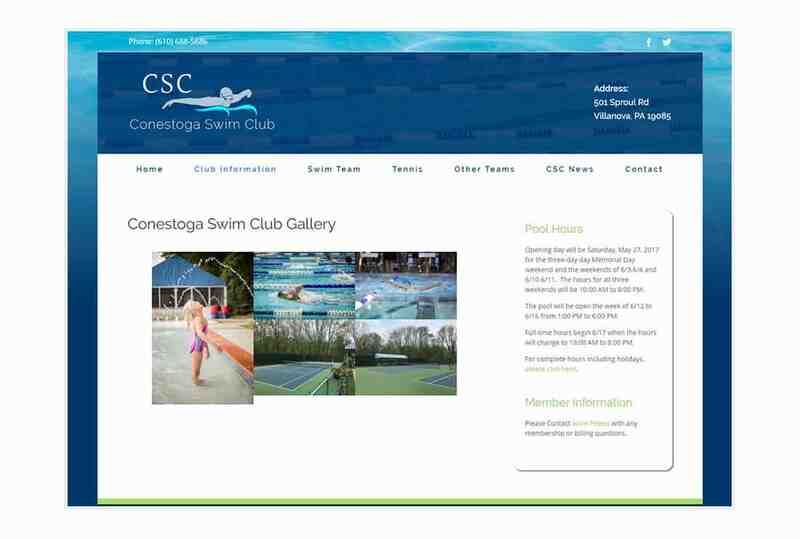 Conestoga swim club started with a pre-built site provided by a DIY hosting provider. 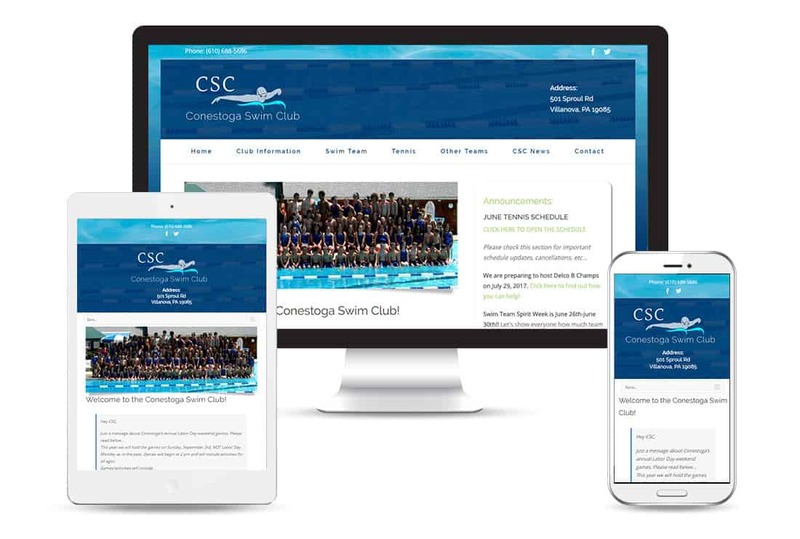 The site they had been working with was clumsy to maintain and looked like any of dozens of other swim team websites. Additionally, members of the club were not always able to find the information they were looking for. 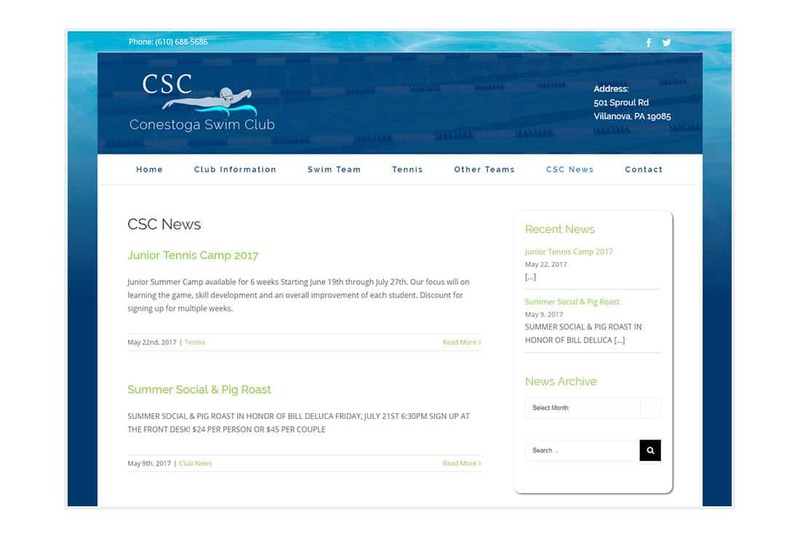 The new website needed to match the clubs brand identity and serve the needs of its members.